Staying at a Walt Disney World deluxe resort is a Disney bucket list item for many. The spacious rooms, breathtaking lobbies, adventurous pools, luxury toiletries, and fine dining at your doorstep adds extra magic to any Disney World vacation. Even the mattresses and pillows seem so much more comfortable to me than the ones at the value or moderate resorts. 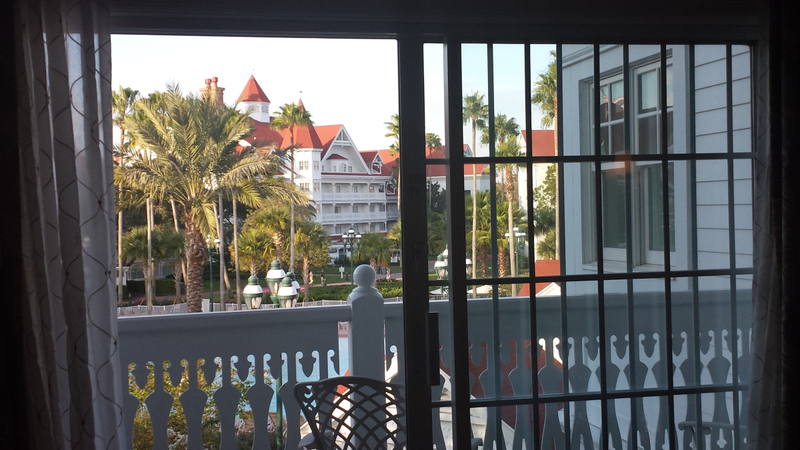 Many deluxe resorts are also in close proximity to various Disney World Theme Parks, saving you precious vacation time. The price tag of staying at a deluxe resort, however, may blow your family vacation budget right out of the water. If you stay in a Savannah View room at Disney's Animal Kingdom Lodge - this is what you wake up to! At the time of this writing, value rooms start at $89 per night. I have always said these rooms are a fantastic value, and are a go-to for my family when planning a visit. For a little more of an upgrade a moderate resort room starts at $166. Most of these rooms offer larger beds, which is a HUGE bonus for me - I need my space when I am sleeping! Deluxe rooms can start at $289 per night. Times 6 or more nights – the price can really add up and is a significant price increase from a value resort. If it is not in your budget to stay at a deluxe resort, but it IS on your bucket list – I just may have the solution for you. Consider a split stay! 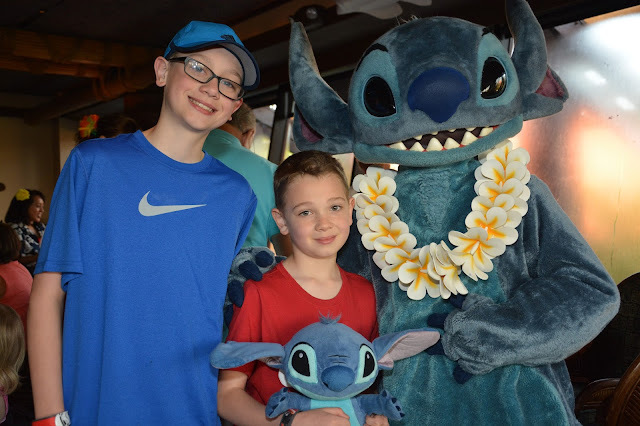 Deluxe resorts have amazing dining options right at your front door, such as breakfast with Stitch at Ohana. Your first hotel should be the value or moderate. These resorts are fantastic, but if you stay at the deluxe first and then go to the smaller room – the differences can be pretty obvious. Putting the nicer hotel at the end of the stay also gives you something extra to look forward to! If you are booking a vacation package with Theme Park tickets, add them to your first resort reservation and select the number of days you plan on attending the theme parks for your entire trip. This is for a few reasons. You can make your FastPass+ reservations 60 days prior to your reservation date. If you book the tickets with your second hotel reservations, you won’t have the full 60 days. Secondly, the longer you stay the less expensive each day’s worth of tickets will cost. If you are staying at the first hotel 5 nights and your second hotel 2 nights and you need 7 days of tickets – purchase a 7 day ticket with the first room package. If you would like the Disney Dining Plan for your entire visit, you need to purchase it with both resort reservations. Luggage is not allowed on any Disney Transportation aside from Disney’s Magical Express. If you do not have a vehicle and you are relying on Disney Transportation, simply contact bell services the morning of your resort move. Inform them of your resort transfer and they will take care of moving your luggage for you. Resort transfers occur in the mid-afternoon hours. Simply visit the bell services desk at your new resort later in the day to retrieve your items. 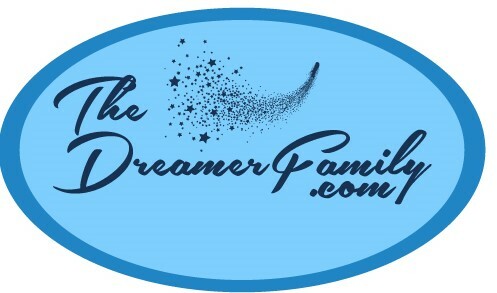 What is your dream Walt Disney World Resort? Comment below! I've only been to Disney once and we loved it. Not sure I'd be able to afford to go again, but I really REALLY want to. It can be affordable if you make the right choices! 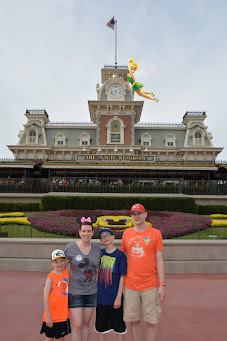 Wait – You Are Going To Disney Again?